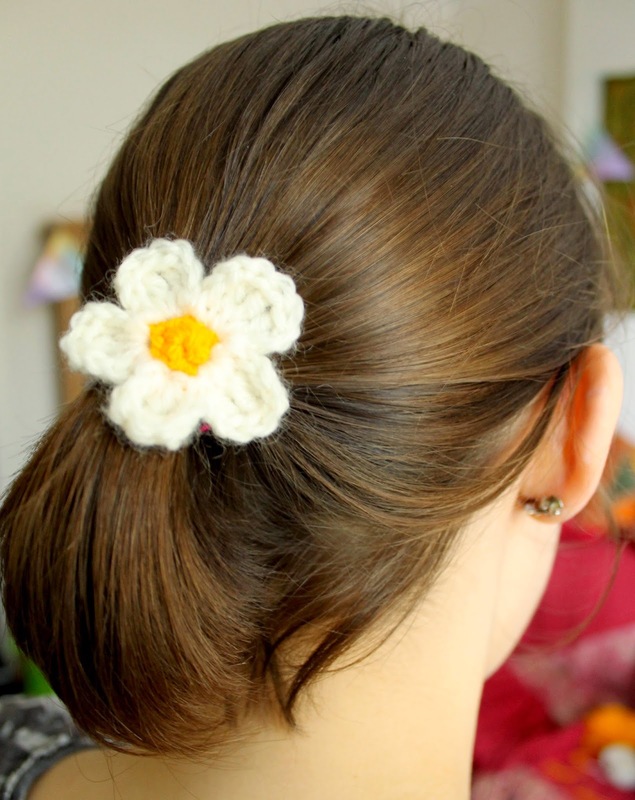 SallyStrawberry: New product- crochet flower hair bobbles! This is how I spent my Sunday morning. 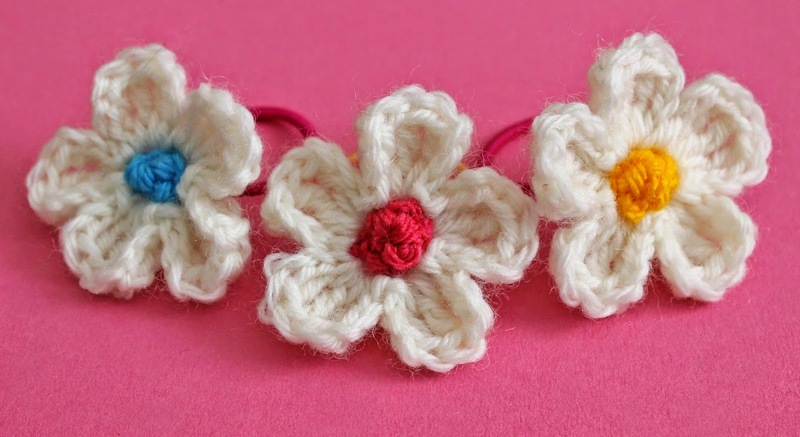 These are the same flowers that I use for bunting but sewed onto hair bobbles. 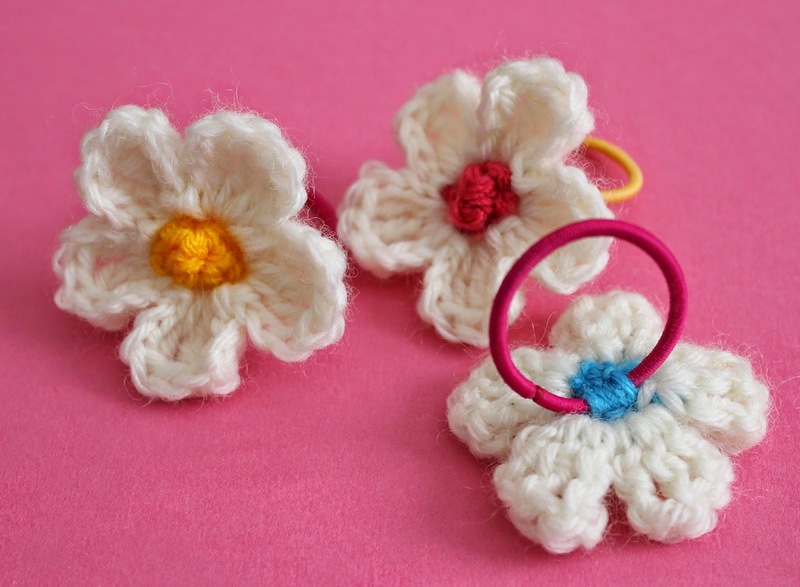 These will be on sale in the Chorlton Art Market Hub Shop next week. What do you think? Simple yet pretty and effective I think. 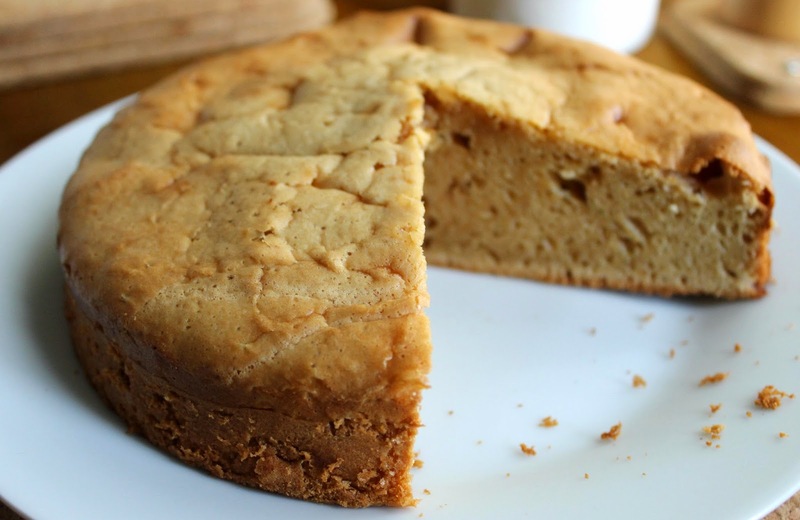 In other news I made this peanut butter cake I saw on Craftsy. Three ingredients- no kidding. Peanut butter, eggs, sugar. It was basically an overcooked peanut butter soufflé and I'm sorry to say I wasn't convinced. Onwards and upwards, it was worth a try! In other other (more exciting) news I'm back to Norwich at the weekend to see family and am so excited! I have also just spent a small fortune on yarn but more about that to follow!